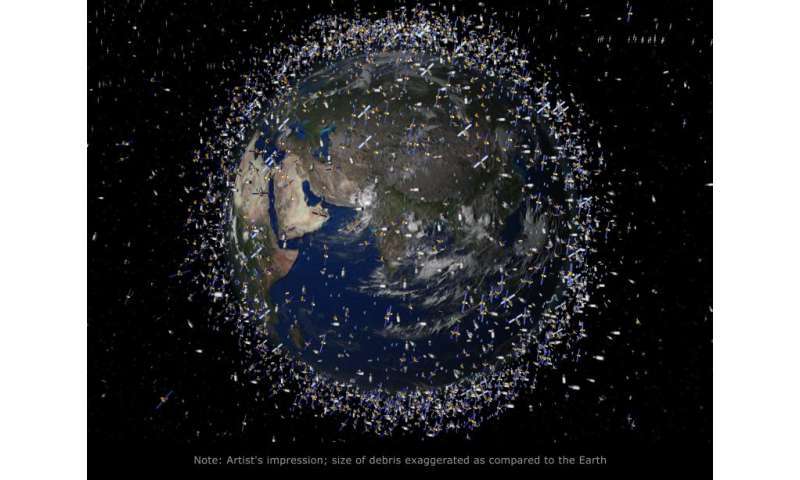 What can we do with unwanted satellites? Most satellites are not designed with the end of their life in mind. But some are designed to be serviced, such as the Hubble Space Telescope, which as part of its final service was modified to include a soft capture mechanism. This is an interface designed to allow a future robotic spacecraft to attach itself and guide the telescope to safe disposal through burn-up in the Earth's atmosphere once its operational life has ended. Thinking about methods to retire satellites is important, because without proper disposal they become another source of space debris – fragments of old spacecraft, satellites and rockets now orbiting Earth at thousands of miles per hour. These fragments travel so fast that even a piece the size of a coin has enough energy to disable a whole satellite. There are well over 100,000 pieces this size or larger already orbiting Earth, never mind much larger items – for example the Progress unmanned cargo module, which Russian Space Agency mission controllers have lost control of and which will orbit progressively lower until it burns up in Earth's atmosphere. We don't know exactly how many or where they are. 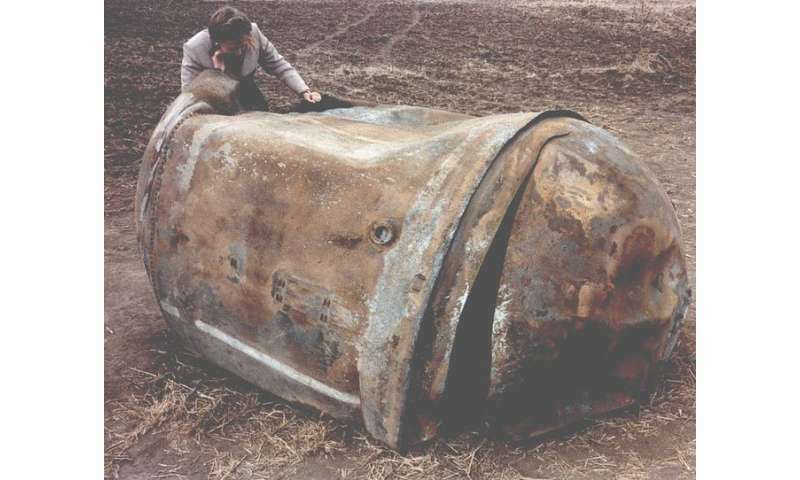 Only the largest – about 10% of those fragments substantial enough to disable a satellite – can be tracked from the ground. In fact damage to satellites is not unknown, with Hubble and the Solar Maximum Mission (SMM) satellites among those to have coin-sized holes punched into them by flying debris. There is a risk that over the next few years there will be other, perhaps more damaging, collisions. The soft capture mechanism was installed to prevent more space debris. Engineers worldwide are devising ingenious ways to try to limit the amount of debris orbiting the planet – for good reason. Predictions show that if we don't tackle the problem of space debris then many of our most useful orbits will become too choked with flying fragments for satellites to safely occupy them. Given the degree to which we rely on satellites these days – for communication, GPS and time synchronisation, upon which in turn many vital services such as international banking rely – it's crucial we prevent near-Earth space from reaching this point. And like it or not, one of the important steps required is to remove large defunct satellites that could become the source of many more chunks of debris. Satellites such as the UK's TechDemoSat-1 (TDS-1), which launched in 2014, are designed for end-of-life disposal. TDS-1 carries a small drag sail designed and built at Cranfield University that can be deployed once the satellite's useful science life is over. This acts like a parachute, dragging the satellite's orbit lower until it re-enters the atmosphere naturally and burns up high in Earth's atmosphere. TDS-1 is small enough to burn up – larger or higher satellites will require other ways of moving them away from the most important, valuable, and busy orbits. It's possible, with enough fuel on-board (and all systems functioning after perhaps decades in space), for satellites to de-orbit themselves. 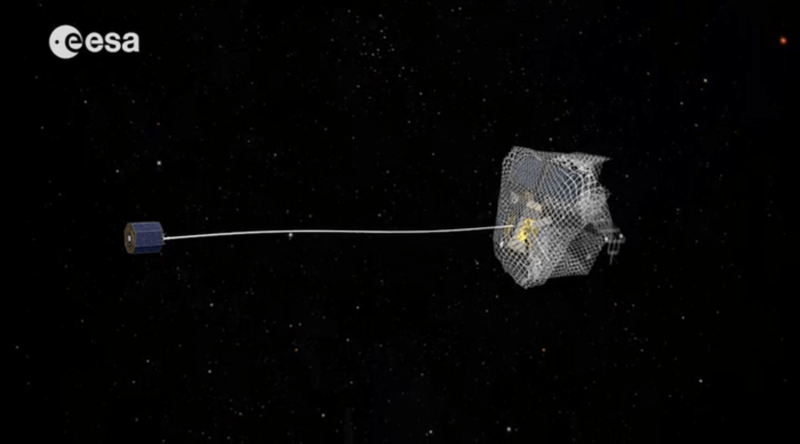 Other, more exotic solutions include tug satellites using nets, tethers, and even high power lasers. 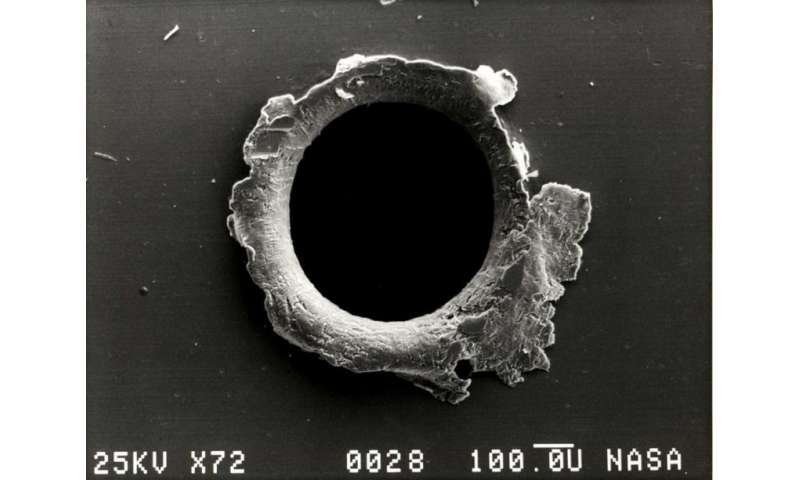 However, space debris isn't just an engineering problem. Suppose Europe develops a tug satellite and tries to de-orbit old Russian satellites, or passes close to an active US spy satellite. Clearly this could get political. Simply put, we haven't yet found a way to use space sustainably, and the problem is almost as complex as finding ways to ensure sustainable development on Earth. What we need are practical solutions – and soon. So what will happen to Hubble, perhaps the most well-known case of a satellite that requires a retirement plan? One day, perhaps in the early 2020s, a small spacecraft will be launched to rendezvous with the space telescope. It will attach using the soft capture mechanism and then fire its engines to guide Hubble toward re-entry over the South Pacific. For a satellite as large as Hubble, it's likely that some parts will survive re-entry so a large uninhabited region over the ocean is best suited to avoid risk of damage or casualties.